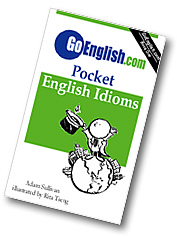 Today's Idiom = "Fall In With"
Falling in with means joining some particular group, often a bad group. Example: "At a very young age, John fell in with the drug crowd." Example: "Growing up poor in London, Oliver fell in with a group of thieves."